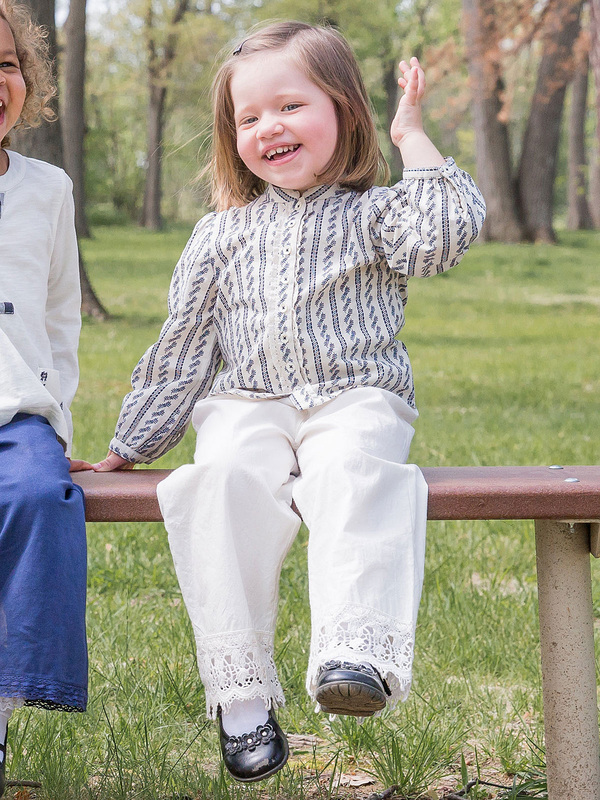 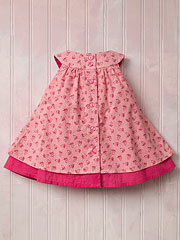 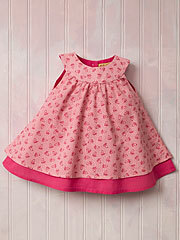 Our Promise dress celebrates old-fashioned simplicity. 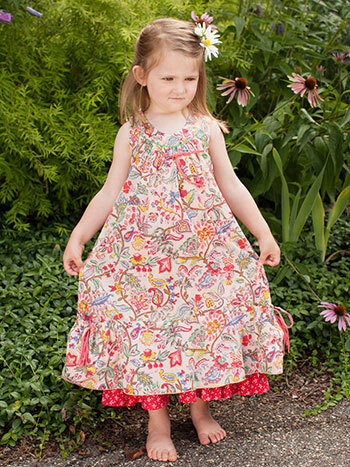 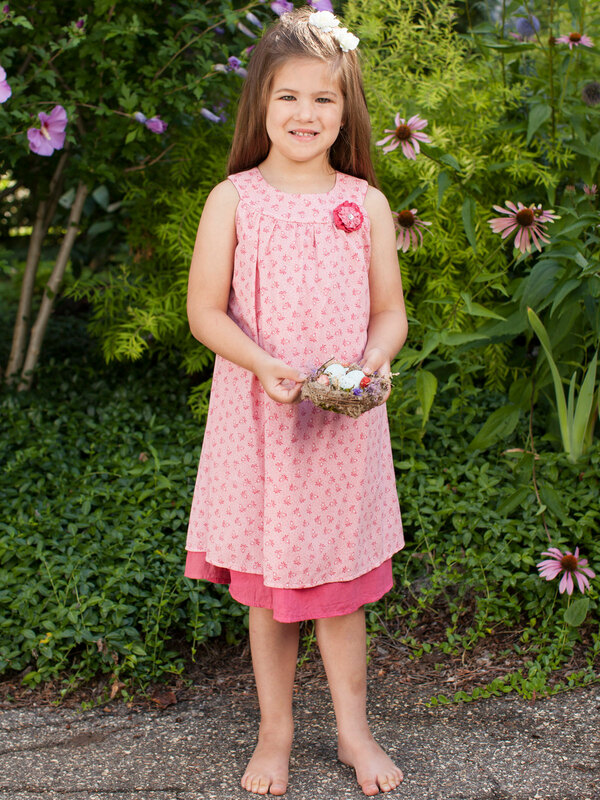 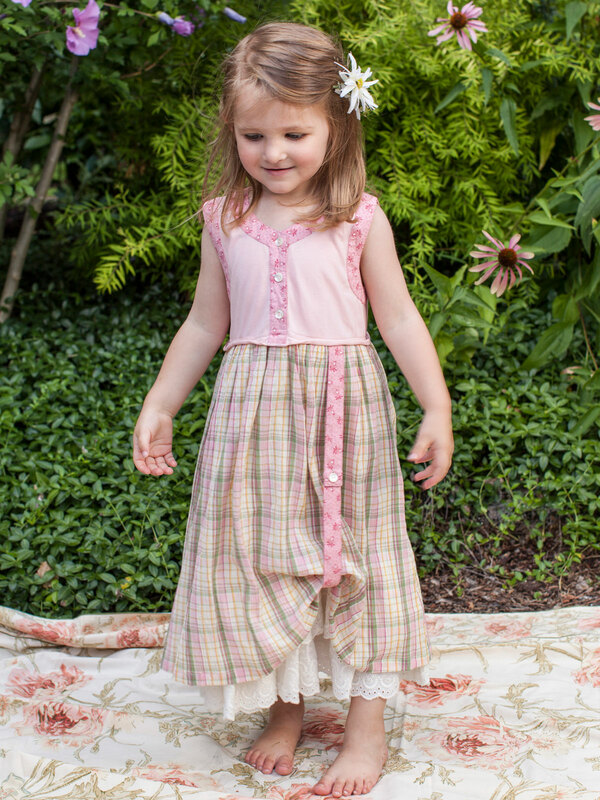 Embellished by a darling, attached two-tone crochet rose, the prairie-inspired print sundress has a full-length, solid deep rose cotton lining, with it hem peeking out underneath. 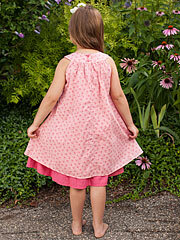 Two buttons on the back banded neckline.